Dimitra Maris has over 5 years experience in Brazilian blow-drys and has developed his own system to create any result from having just a natural cross free calmer version of your hair to completely straight. With an in depths consultation, we will help determine the desired result for each and every client and it will be a bespoke version so not one job is the same for us. The result will last up to 6 months. There is a great skepticism on the market of side effects for Brazilian blow-drys which have given them a bad name. Dimitra has intensively configured his own way of working with this product so that there are no side effect and only benefits. Protects the hair from any heat or colour damaged from colour or styling. 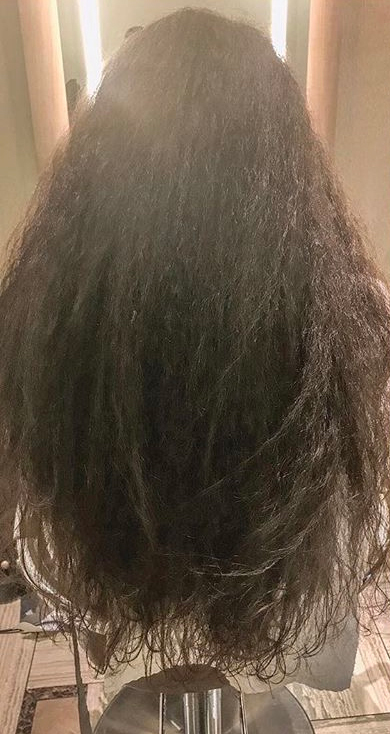 No longer will you have to spend hours in the morning trying to get our hair to behave as the treatment will tackle all of the hose problem making one’s life far easier. Also, you will able to go into a humid climate and have your hair looking great. 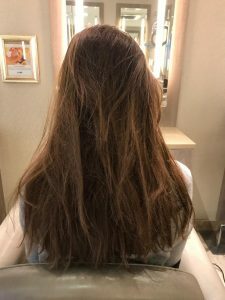 The Keraplex treatment is the ultimate Bespoke service that Dimitra Maris offers. With his unique blend of bond rebuilding added this will leave the hair in a much greater condition than just your Brazilian blowdry. The Keraplex was designed for people who have damaged, over sensitised hair that needs saving from a lifetime of colour and styling. The Keraplex will rebuild the broken bonds in the hair structures chain and when looked after properly can fully repair the hair back to it original state. This treatment will restore the hair making it smooth, glossy and shiny. Protects the hair from any heat or colour damage. 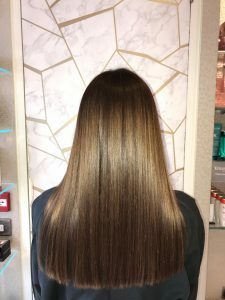 An advanced keratin-based process that will give your hair a smooth straight glossy look, milder version of Keratin treatment, has the ability to identify a specific area that needs more work to be straightened. It does not damage the hair and it has a smoother scent. Liquid 24k gold reduces static electricity in your hair and reduces hair water absorption, protecting it from humidity salt water and rain.